The gap between a mediocre sales person and greatness lies with one’s capability in maintaining contact with prospective buyers. Extending communication and building relationships with these individuals after they walk off the lot are significant determinants in closing a sale. This requires dealerships to truly understand the preferences of their customer base when it comes to continuing a conversation. The lives of Canadians have been completely changed by our mobile devices, and more particularly, the way we use them to interact with friends, family and professional contacts. One of the early breakthroughs we were able to achieve as part of the growth of Canada Drives was better understanding these communication patterns, and adjusting accordingly. Currently, there are over 29 million wireless subscribers in Canada, and 68 percent of those Canadians own a smartphone. This is why land lines are increasingly being phased out of households, and more interestingly, how short text messages are taking the place of verbal exchanges. Canada Drives’ management and staff began to see this in our follow-ups with consumers who had contacted the company. Multiple phone calls back turned into a black hole of silence and wasted time, which indicated to our team that we needed to do something differently. As a result, we started to look into current statistics, and what we learned was staggering. Mobile Marketing Watch reports that texting has a 98 percent open rate, which dwarfs email’s 20 percent. Further, Velocify reports that text messaging has a 45-percent response rate, which again makes emails 6-percent rate of response anemic by comparison. Velocify also reports that sales prospects who are sent text messages convert at a rate 40 percent higher than those who are not sent any text messages. The benefits of texting prospects in improving sales volume is real, even though it is a practice that dealership purists often dismiss. To take advantage of this opportunity, Canada Drives developed an SMS platform that allowed our customer relations team to contact consumers from our office’s computer system directly to their phones in real time. The technology was customized for our specific needs, which dramatically increased our staff’s ability to reach consumers, as well as our company’s overall productivity. 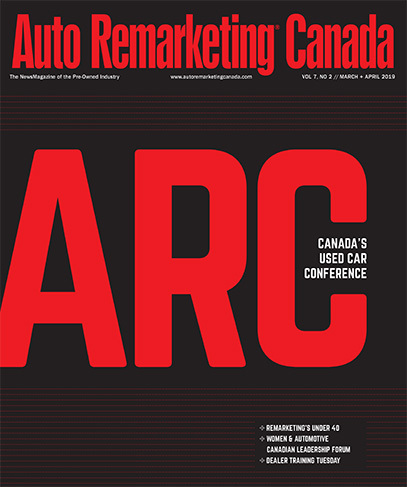 However, the status quo in Canada’s auto industry is an environment where texting is not being used to its full potential, in spite of the obvious challenges being encountered by salespeople. When properly integrated into the entire sales process, while at the same time deployed with discretion and in accordance with anti-spam legislation consumers are open to receiving texts from businesses; in fact, they have even come to expect it. In today’s cluttered communications landscape, dealerships must take full advantage of any tools that make customer contact more efficient. Whether it be an emphasis on texting, or the adoption of a new customer relationship management (CRM) system, it is imperative to utilize the mediums that are best suited to your customers’ lifestyles. Finding a way to incorporate texting into your sales process will allow your dealership to overcome the barriers to contacting customers in a wireless world. 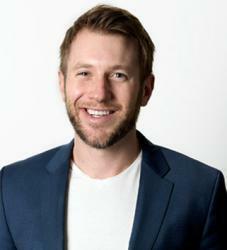 Cody Green is the Founder and Co-CEO of Canada Drives, the country’s largest consumer auto financing brand. Having previously worked in dealerships across Western Canada, Green offers insight into how technology is changing the face of auto sales in Canada. www.canadadrives.ca.